When there is water, there is life. In my travels, the best and most inspiring views often involve the sky, land, and water in some form or another. Waterfalls easily combine these 3 elements, which is why they create some of the most stunning landscapes around the World. If Mother Nature vomited rainbows, waterfalls would be the site of her act. 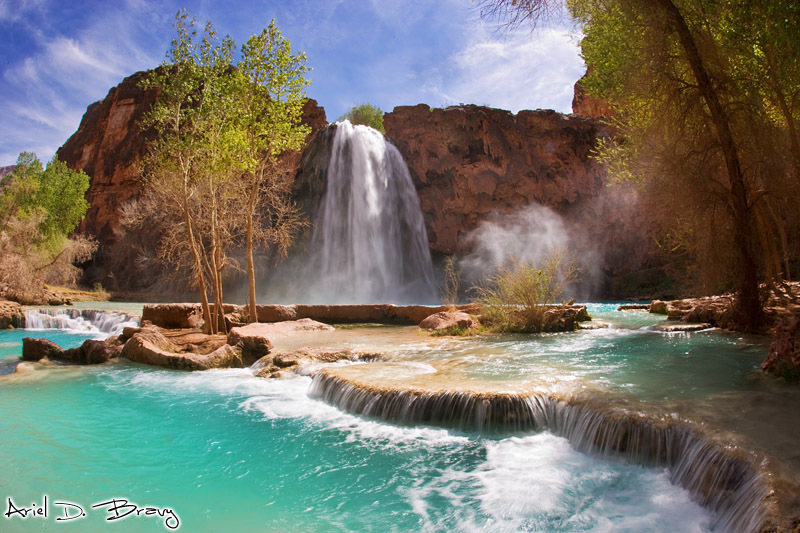 This small but beautiful waterfall located in the Grand Canyon has a lovely vivid blue-green pool due to the high concentration of calcium carbonate in the water. There are plenty of places to relax and the campground is just a short walk from the cascading waterfalls. There is even a small rock shelter behind the waterfall! 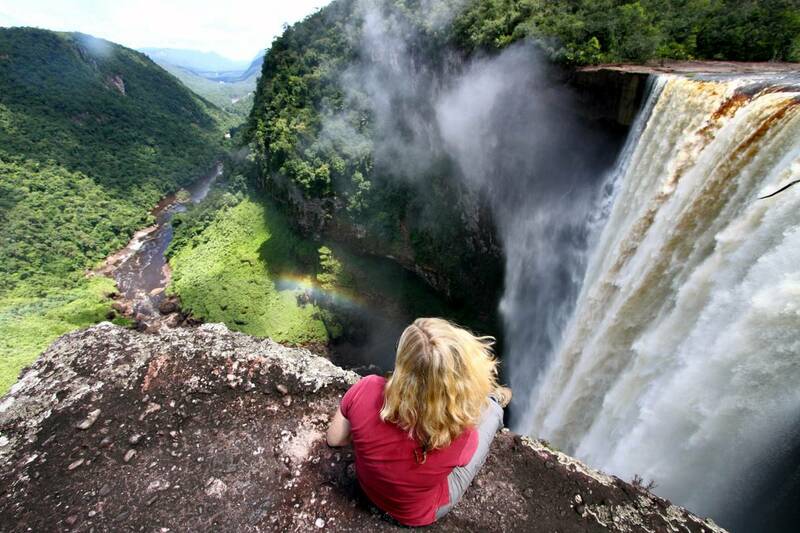 Four times higher than Niagara Falls and twice the height of Victoria Falls, the Kaieteur Falls is one of the best natural wonders in Guyana. Take a 50min plane ride across virgin rainforests and get an overview of the falls before setting foot on ground. A fly past of the falls for a great photo taking opportunity is also included in the flight. The highest waterfall in North America, the Yosemite Falls is split into the upper falls, middle cascades, and lower falls. A strenuous 5.6km hike takes you to the breathtaking views at the top of the falls. Water flow is highest and the falls are most spectacular in May. Between August to October, water flow can reduce to a trickle and should be avoided if you want to see the falls in it’s full glory. 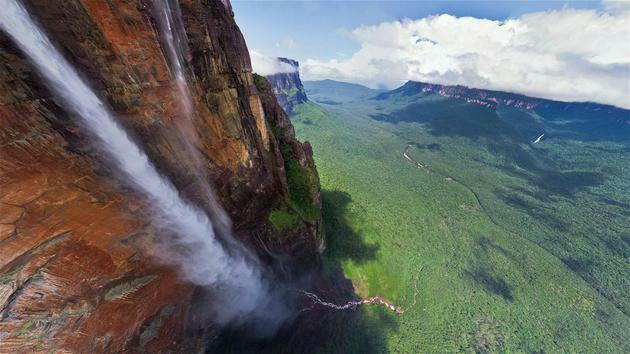 At 979m, Angel Falls is the highest uninterrupted waterfall in the World. Located deep in Canaima National Park, the falls can be pretty difficult to get to and involves a flight, boat ride and trek. I guess it’s all part of the journey to immerse oneself and appreciate the falls even more! 16 lakes, interconnected by a series of cascading waterfalls make up the Plitvice waterfalls. Formed by thousands of years of limestone and chalk deposits, the travertine dams separate the different mini lakes that make up this beauty. The national park is also home to tons of wildlife and is a must see for anyone visiting Croatia. 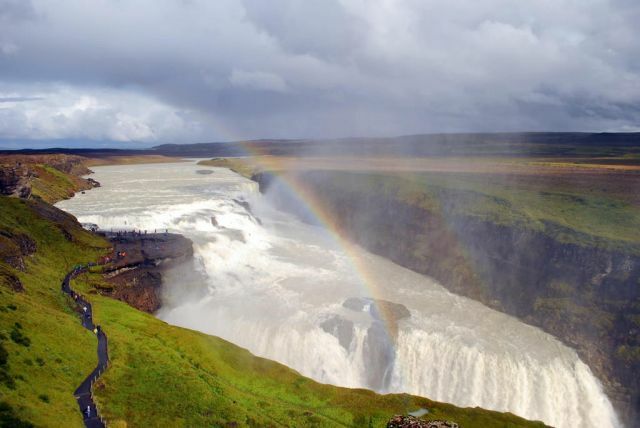 The Gullfoss Falls or ‘Golden Falls’ is part of the golden circle of attractions in Iceland’s southwest. The Hvítá river first flows down the beautiful three step staircase before plunging down abruptly. With a width of 1,708m and a single precarious vertical drop at 108m, the Victoria Falls is another one of those mesmerizing waterfalls. What’s cool is that there is a “Devil’s Pool” where you can hire a guide to take you to and swim to the edge! Probably the only place in the World where you can do this. Despite being one of the most modernized big waterfalls, the charm and scale of the Niagara Falls is still amazing. The horseshoe falls is the most famous, but the falls consist of two other falls called the American Falls and Bridal Veil Falls which are also inspiring in their own right. Arrive early to beat the crowds! Nothing quite prepares you for this. Straddling between the Argentinian and Brazilian border, there isn’t quite another waterfall in the world that could compete in terms of scale and beauty. With 275 cascading waterfalls and well marked walkways that bring you over the falls to the famous Devil’s Throat, the Iguazu Falls is top on the list of awe inspiring waterfalls. Do check out my experi if you’re heading there too! Got another waterfall to add to the list here? Drop a comment below! We have been to 2.